The G10 Series has the popular burnt through front log and is available in two beautiful logs styles; Charred Frontier Oak and the Charred Aged Split Oak. 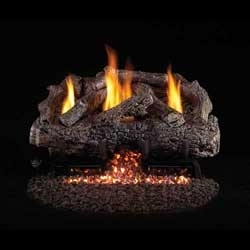 Both of these logs are ceramic refractory log sets. 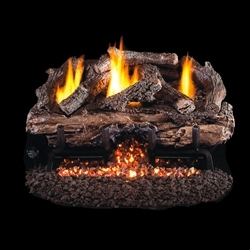 The bed of Bryte Coals highlight the handcrafted logs and add beauty to your fireplace. 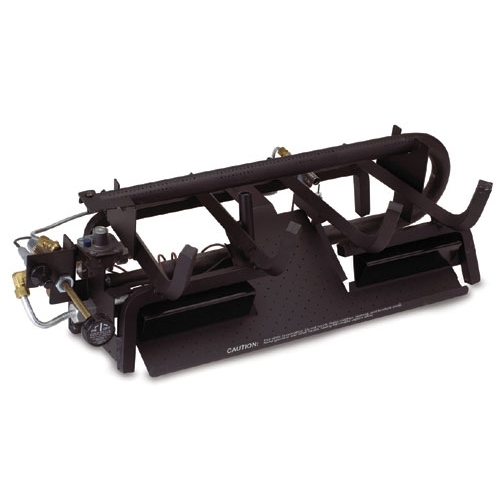 These log sets are 99% more heating efficiency and they operate using less gas.